Majored in law at the Adam Mickiewicz University in Poznań and completed post-graduate studies,”Academy of Companies”, at the Warsaw School of Economics (SGH). During studies, she was a member of the civil law section at the Student Legal Clinic. Since 2016, legal adviser, member of the Regional Bar Association in Poznań. 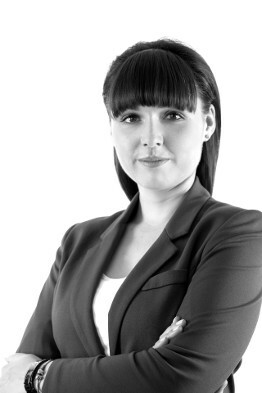 In her professional practice, she focuses on matters pertaining to broadly understood civil law and commercial law. She is experienced in the organisation of corporate processes in commercial law companies and partnerships and participation in due diligence processes. She managed commercial disputes concerning construction works, including within the scope of the investor’s joint and several liability for payment of remuneration to subcontractors. She also deals with drawing up and revising contracts related to investments in wind farms. Knows English.